Tomorrow marks the first day of the Festival of Sacrifice, the most important celebration in the Islamic calendar. Corresponding with hajj, pilgrimage to Mecca, the holiday is known as Eid al Adha in Arabic, and Kurban Bayramı here in Turkey. 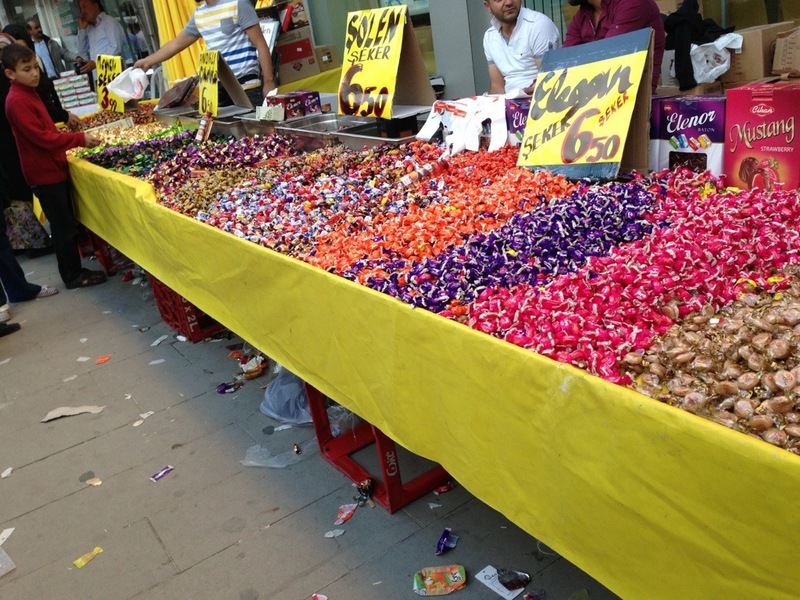 It is also known in Arabic speaking parts of the Muslim world as Eid al Kabir, (roughly, the great celebration, indicating its importance in the tradition). 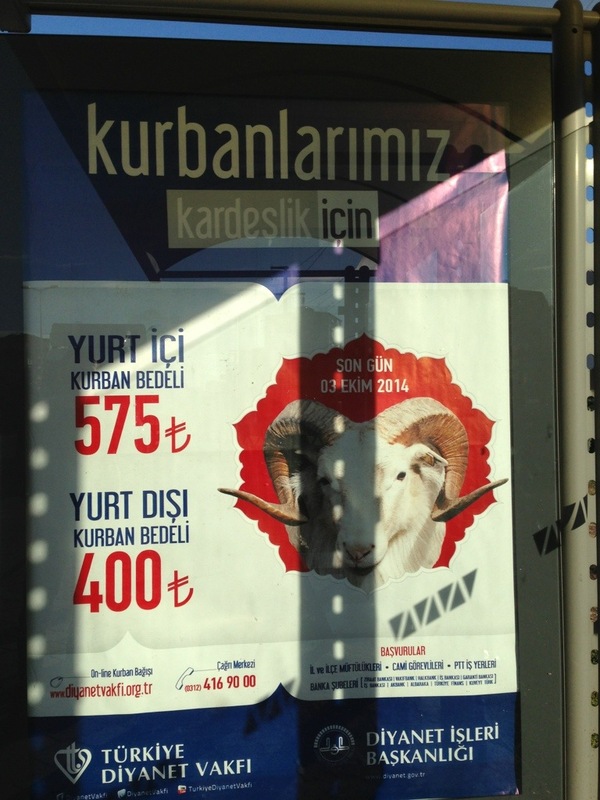 Structurally, one could say that Kurban Bayramı is the Christmas of Turkey. Ziyaret etmek, visitation, is a key aspect of the holiday, with families traveling across the country to be together, visiting their families and paying respects to their elders, marked by “hand kissing” (a soft kiss to their hand, and then touching your forehead to their hand). Children often receive money, candy, and new clothes at these visits (following the compulsory hand kiss!). 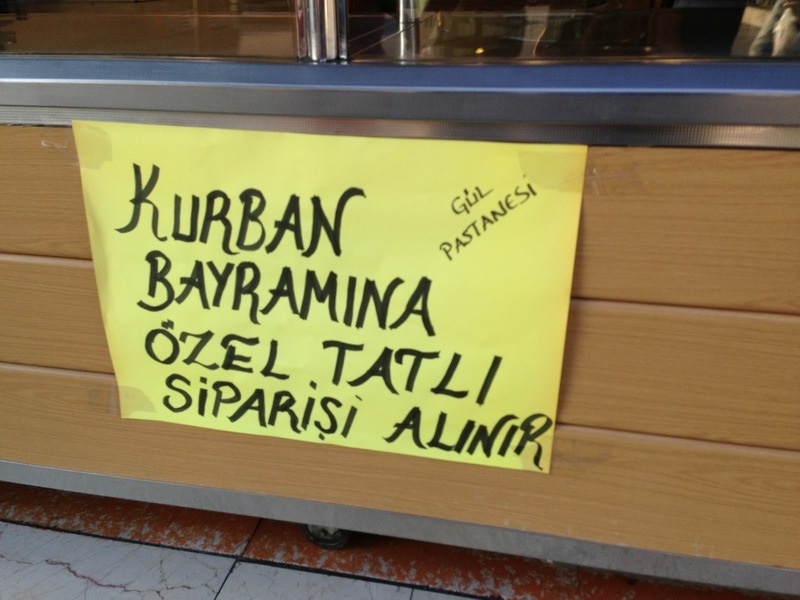 Kurban Bayramı, is also, of course, notable for the ritual slaughter of an animal, the significance of which is denoted in the name of the holiday. Animals considered halal for slaughter include goats, sheep, cows or rams, and camels, and there are stringent guidelines on the books regarding the treatment, age, safety and well-being of the animal prior to slaughter. 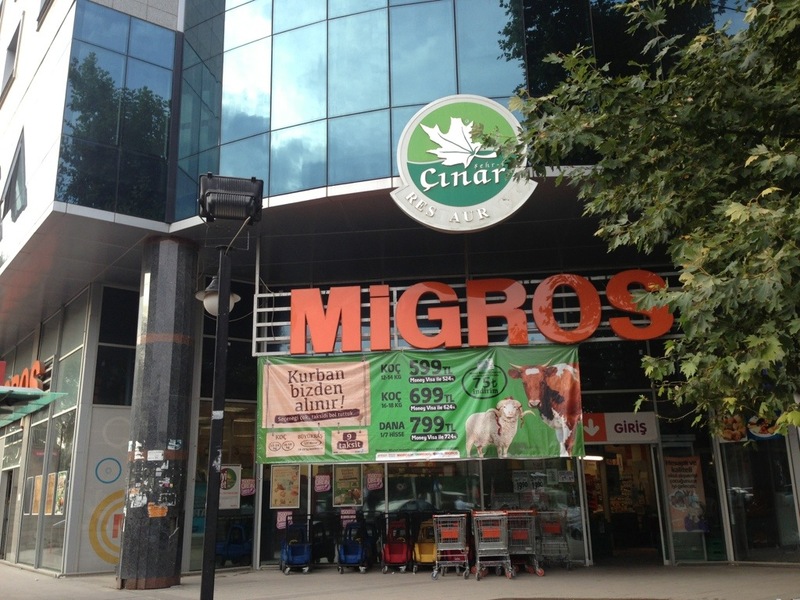 These days, many families in urban areas send money to an organization to have an animal slaughtered for their family (a practice that occurs in the US as well). 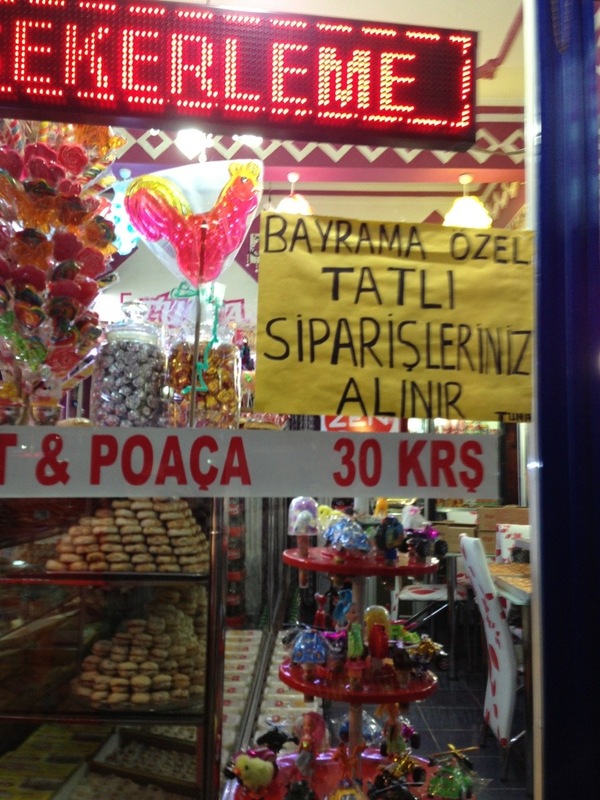 However, in Kırıkkale is is apparent that DIY is still very much the norm… More on that in a bit. The sacrifice ritual itself involves prayers said over the animal and a swift cut to the carotid artery, causing almost instantaneous death. There are many prescriptions for everything from how the limbs should be held, in which direction the animal should face, to the sharpness of the knife. The method is very similar to Kashrut (kosher) slaughter, and is regarded by Muslims to be the most humane way to kill an animal. The ritual stems from the Islamic version of the story of Abraham (Prophet Ibrahim) going to the mountain with his sons at the behest of God, being asked to sacrifice his son (in the Islamic version it’s Ishmael/Ismail) and then being told to slaughter an animal instead. The slaughter performed by Muslims around the world starting tomorrow is symbolic of their gratitude for their lives, livelihoods, families and blessings, which come from God. Some people in Turkey also slaughter an animal on an occasion which summons immense gratitude, the birth of a healthy child, for instance. 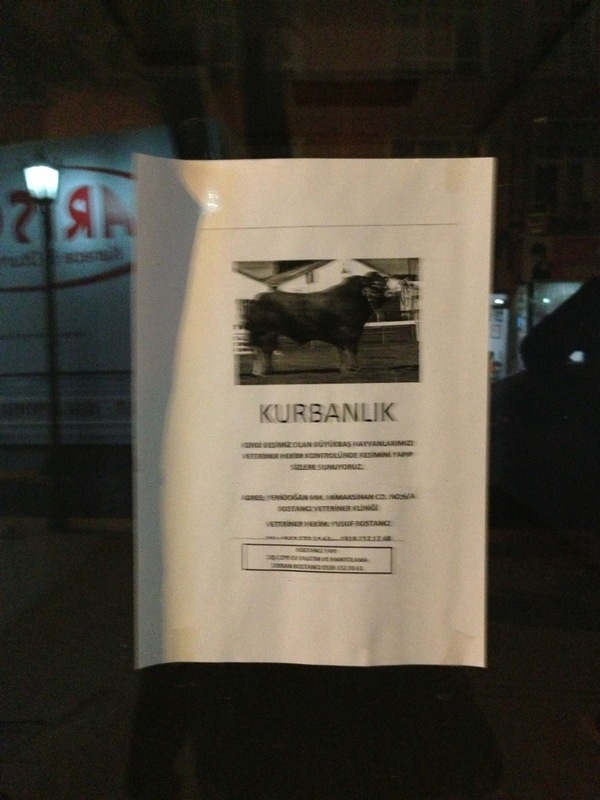 Often, at Kurban Bayramı, or one of these voluntary (adak, in Turkish) slaughters, a drop of blood from the animal is smudged on the forehead of children, with the belief that it will bless and protect the child. Directly related to the slaughter is the importance of charity to the holiday. The meat from the animal is divided after the slaughter; some is kept by the family, and some is sent or delivered to families who couldn’t afford an animal to sacrifice, who normally cannot afford to purchase meat. As at the end of Ramadan, the month of fasting, special alms are often collected. Side note: there are few things i find more entertaining than asking my classes to explain the holiday to me. Kids say the darndest things. 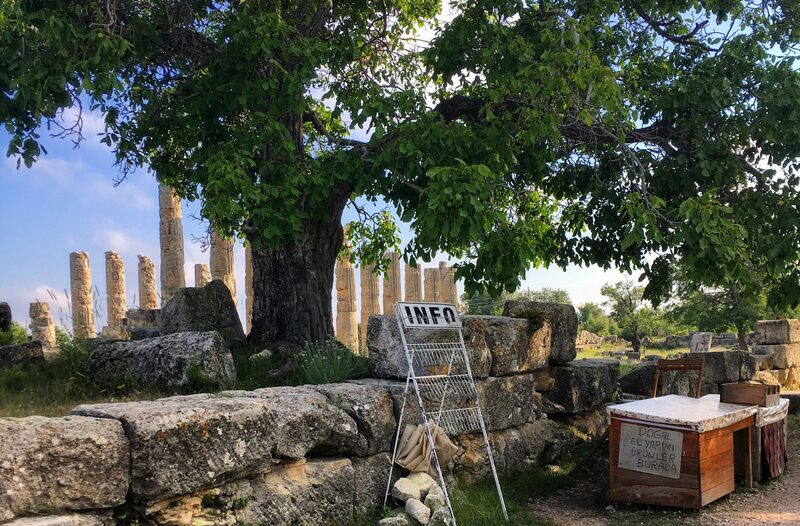 What follows are photos from around Kırıkkale from the last couple weeks, with explanations and translations in the captions. These photos may seem rather mundane, but I think they reflect the observations I’ve had recently. It’s also been quite an adventure to try to discreetly document these signs and storefronts, often in the crowded city center, without drawing too much attention to myself. An advert for an organization that funds sacrificed meat being sent to places in Africa and Central and South Asia. This one offers the services of a veterinarian to ensure the sacrifice is carried out correctly. 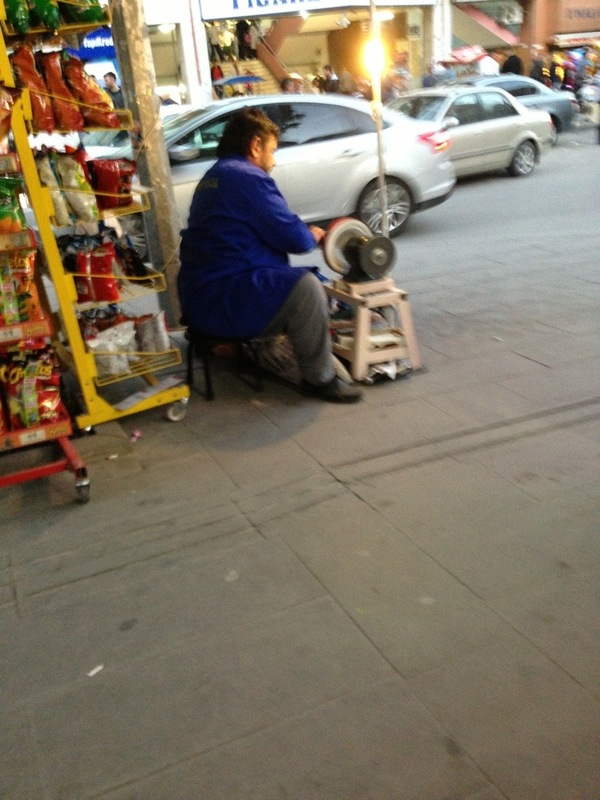 Many people across Turkey carry out the sacrifice themselves, often in the cement courtyards of apartment buildings. 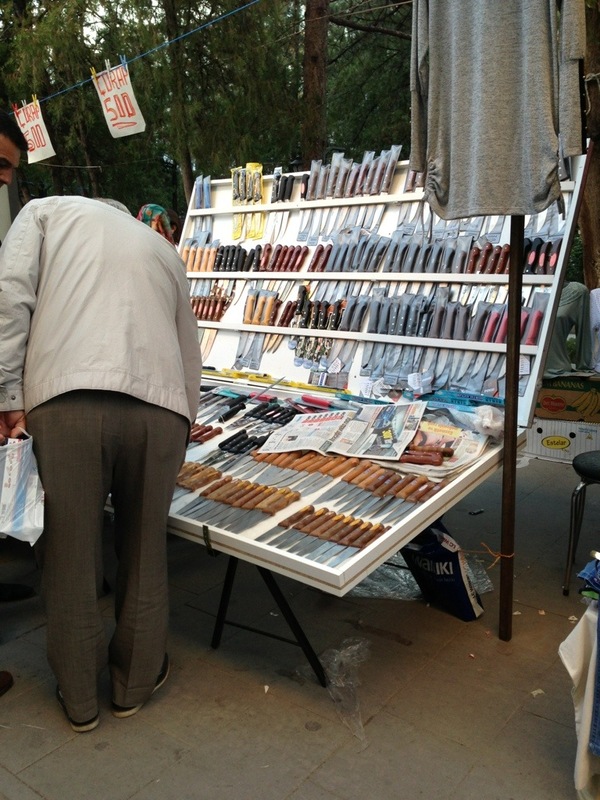 Knives for sale at a big street festival in ktown on Thursday. Because people perform the sacrifice themselves and there are high standards for sharpness there’s a pop up industry for a week. That kid can’t even believe how much candy he’s going to eat this weekend. 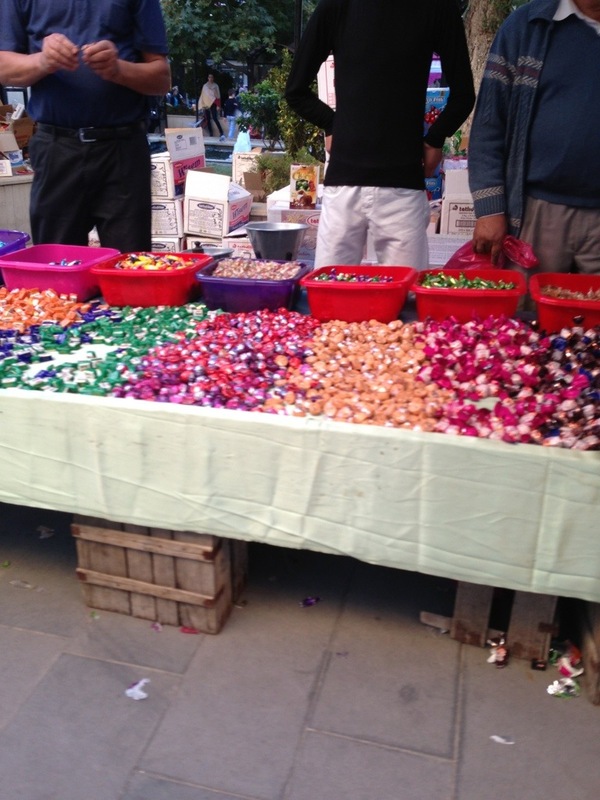 Candies (“şeker”) for sale in downtown ktown on Thursday night. I love this one… Look at the little plastic sheep! 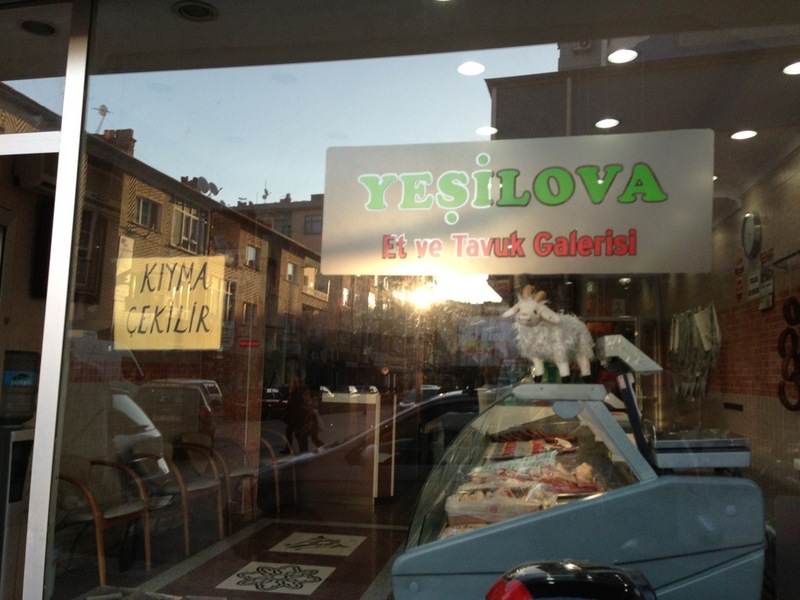 The sign in the window says “kıyma çekilir” basically meaning, we can turn your meat into ground beef. Other items included in the pop up industries of pre-Bayram week included ziploc freezer bags (for all the meat), large wok-like pans (sac) for making kavurma (meat), and napkins. To all those celebrating, iyi Bayramlar, Eid Mubarak! 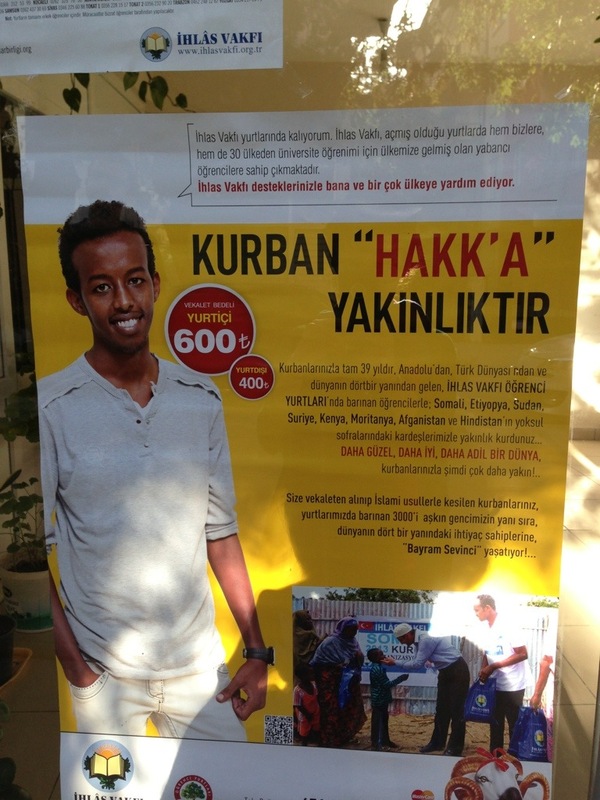 Good post on a tradition that many foreign residents of Turkey find horrific. I am not in that number. However, one aspect that may have escaped you is the number of emergency visits to hospitals for serious knife wounds that will occur today. The government has tried to ‘regularise’ the killing by encouraging the charity donation route and creating official slaughter points where butchers are in place to actually do the killing. 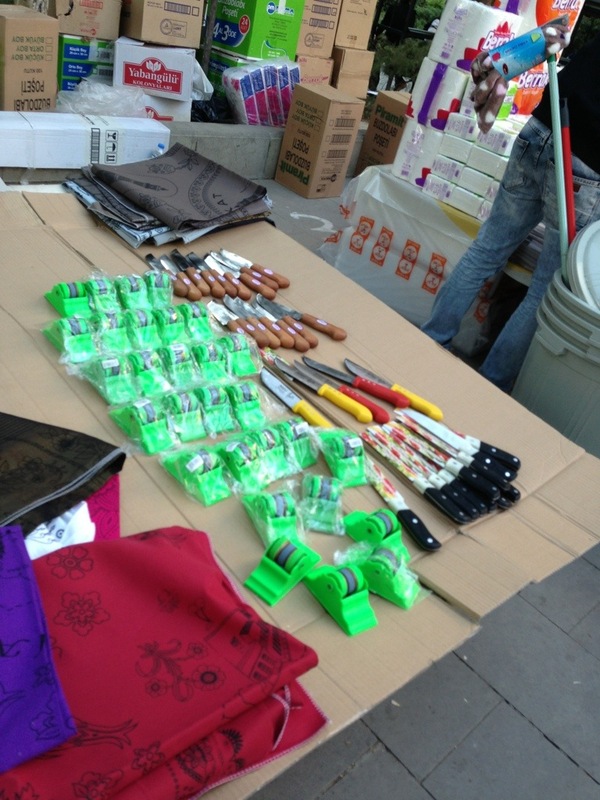 But, as you point out, people still prefer the DIY approach at home – hence the knife wound stats which should appear in Turkish press over the next few days. I first lived in Turkey 1969 – 72 and well remember the huge flocks of sheep outside the walls of Istanbul waiting for buyers prior to Kurban Bayram. I really enjoy your blog and hope that you will keep up the good work.